There are few things worse than a plumbing emergency. Almost no one is fully prepared for a flooded basement or massive bathroom leak. To make matters worse, time is often essential when water is in the picture. The good news is that there’s a simple solution to any plumbing catastrophe: call Emergency Plumbing & Solar. Our emergency plumbing technicians are awaiting your call around the clock. We’re fully equipped and prepared to combat any emergency, and we provide solutions that last. We believe that the key to providing emergency plumbing service is to always be prepared. What does this mean for you? At Emergency Plumbing & Solar, we keep our vehicles and technicians fully equipped with the proper tools and training. We work hard to keep up with the latest industry advancements. Whether your issue is big or small, we have a way to fix it. We ask that you provide as much information as possible regarding your current situation. While our trucks are fully-stocked, we may need specialized equipment to handle your needs. Preventative maintenance is key to mitigating or outright preventing emergency plumbing situations. In fact, most maintenance tasks are quite simple. Clearing and preventing clogs can help stop leaks in their tracks. Drain cleaning might not be fun, but it can save you money. In a more extensive system, such as one with underground pipes, tree roots often grow through the piping and cause blockages. A professional can use a rooter snake to remove roots from your system before they cause extensive damage. Maybe your toddler flushed his action figure down the toilet and your bathroom is flooding. Or perhaps the kitchen drain in your restaurant is backing up – right in the middle of the dinner rush. Our plumbing pros are ready for action 24/7 to take care of any and all drain cleaning emergencies for homes and businesses across Oahu. Rely on us to get your drains cleared quickly, so you can get back to your life – or your livelihood – in no time. 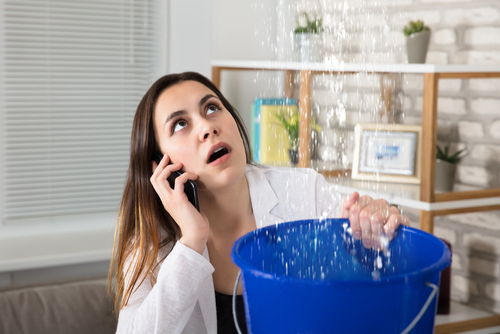 A leak can go from bad to worse in moments, so if you notice a leak in the pipes at your home or business – no matter how small it may be – don’t wait, call the team at Emergency Plumbing & Solar ASAP. Our highly-trained experts have years of experience detecting the source of leaks and repairing cracked pipes, rusted hose connections, and other plumbing concerns. We understand how important your home, business, and possessions are to you, and we are ready to help you whenever you need us. If you need emergency plumbing services, contact Emergency Plumbing & Solar by calling 808-691-9309. Our technicians are ready and waiting. Just call us today, and we’ll be on our way! Emergency Plumbing Overall rating: 5 out of 5 based on 10 reviews.